My name is Emma Kerry and I am a Twittaholic. There, I’ve said it. I love Twitter. When I first joined Twitter, I was confused as to what the point was. It all seemed a bit of a waste of time. How wrong I was. Fast forward a couple of years and I am hooked. Why? The community I have ‘met’ so many wonderful people through Twitter. These people, though we’ve never met or had real conversations, have encouraged me, inspired me and comforted me. It was through Twitter that I stumbled upon Friday Flash which has done wonders for my writing, turning it from a neglected hobby into something I take seriously. Were it not for people on Twitter, I probably wouldn’t have completed NaNoWriMo last year, in fact, I probably wouldn’t have even started it. Every time I hit a stumbling block with my writing, someone has already been there and has words of wisdom to offer. On a personal note, when I’ve had a tough day with my son and am feeling the strain of motherhood, there’s a chorus of fellow mums chiming in with sympathy and jokes to cheer me. It is a wealth of information Most of the writing projects I’ve been involved with, I have heard about through Twitter. Similarly, with publications I have submitted to. On any given day, there are hundreds upon hundreds of links to informative and interesting articles. To find this information without Twitter, would be a lengthy, probably dull task. 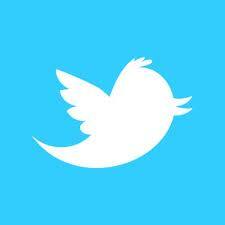 The nature of Twitter means it is fast, succint information – perfect for busy lives. Marketing. So far, I don’t have much more to market than blog posts and flashes, but hopefully one day there will be a book or two to shout about. However, I do know that marketing via Twitter works, from my experience of the other side. I have bought books I may not have, just because I ‘know’ the writer on Twitter. Of course, as with most things, there are drawbacks. Twitter can be addictive. Popping online for two minutes can soon turn into half an hour (or longer) spent chatting. Personally, I think the positives far outweigh this one negative. I tweet as @emma_kerry, if you want to say hi.